Dont you think that this is a little bite poor of ram memory? why dont use 1Gb like the most cel`s in the market? 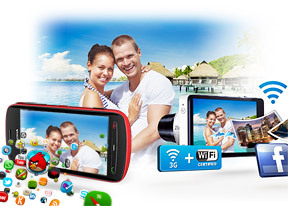 Still 360*640 resolution..?! Still a max 4 inch..?! Still just Amoled..?! Still same old symbian..?! Still frnt cam vga.?! Grow up nokia..!! nothing is gonna happen if u increase megapixels! y r u tryng hard ven u can b with the leaders in market! I was a nokia fan but not now..no! Symbians n even lumias r screaming..also with bad looks n design! c where the world is going where u are! I wonder why all these new nokia does not have DSTV receiver. I think that is only disadvantage of it while all others are ok. This fone is waste, xpect for camera. 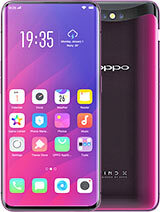 ................... Rest all features are waste noki belle os is nothing impressive its useless to buy this fone it is gud for nokia to make windows fones or switch to android or else nokia can never come up like olden days!!!!!!!!! create cell phone with ANDROID features. AnonD-44031, 19 Mar 2012I find the lack of official reviews... disturbing. lol. I guess the final product is not ye... morethere are no official reviews but we can check the hands on videos on youtube. The belle UI FP1 & the new camera interface looks cool...i liked the smooth animations & transitions. this is what I want to see in a symbian phone. hopefully, it could match up with other OS. 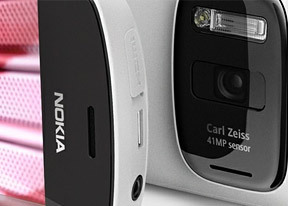 shiv, 18 Mar 2012it would be a great success if nokia could launch nokia 808 pureview on some practical live pl... moreSymbian can do those as well... plus FM Transmitter, USB on the go, DLNA, free Navigation forever, Dolby Digital plus. For those having issues with 4" ppi and stuff relating on how the 808s screen will perform heres a review of Nokia E7. It has the same Screen 4" CBD same ppi. You be the judge. This is the Symbian incarnate.. I have missed Nokia. after my last symbian E72 I used Blackberry Storm 1, Curve3G and Bold 9000 and had to change them due to phucked up battery, no wifi hotspot, limited storage memory and poor apps support. I moved to HTC G2, Desire z and Xperia Play and enjoyed in built wifi hotspot, large inbuilt memory and apps support. but HTC G2 like many android cant be fun without rooting so there was a limit to what i enjoyed on the good old average specs symbian. Xperia play has a good battery backup and I still held to it. now for all nokia haters who dumbly believe a good phone is all about beast feasting processors and loaded chips.. here is a beast of a symbian. here is a good platform to make comparison. 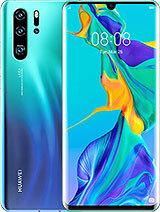 here is my next phone to get. I have used them all, even Iphone and HTC surround 7(Windows Mobile 7), Nokia is first and Sony is second.. before others. be real and stop hating. AnonD-43825, 19 Mar 2012I agree...votes are unrealible indicator on how good the device is...we must give the N808 a c... moreI find the lack of official reviews... disturbing. lol. dane sullivan, 18 Mar 2012hey guys, 41mp camera , xenon flash , good sound > belle , usb on the go , fm radio transmi... moreAlready reserved mine even before it was announced. lol.. I reserved the PureBlack color..
Last night I dreamed that Stefen Elop is showing a nokia droid and saying that nokia is going to use android !!! What a bad dream!!! AnonD-32581, 19 Mar 2012gsmrena have made a couple of mistakes in the spec sheet, the nokia 808 will have divx/xvid s... moreAny proof??? Nokia gave 1gb rom in older symbian^3, anna, belle models. You might hav mistakened.. Not sure about 1gb ram. But it is not coming with 512mb rom. It is 1gb rom.